"I first met Fred when we were both refugees fighting the totalitarian Nazi regime through the rather poor means we had. In his time he was very much in the avantgarde, a brilliant photographer inspired by his quest for justice and his concern for truth so clearly reflected in his photographs. He truly was a man of vision, and his choice of people and subjects is the obvious proof of it." 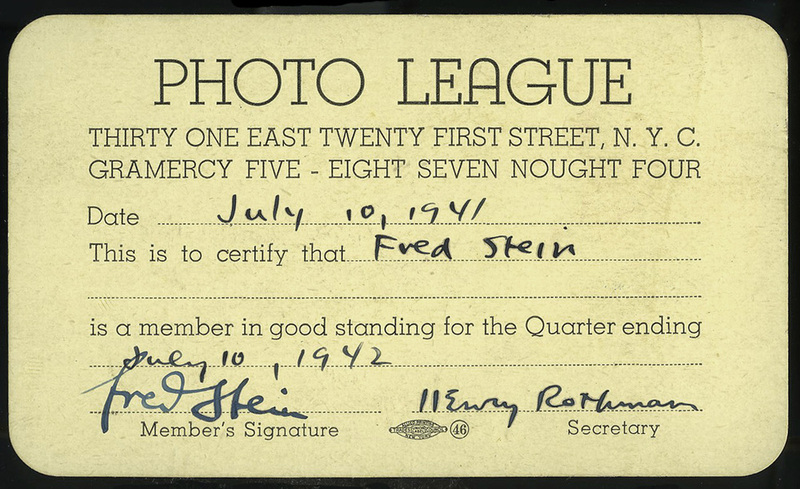 Fred Stein was born on July 3, 1909 in Dresden, Germany. As a teenager he was deeply interested in politics and became an early anti-Nazi activist. He was a brilliant student, and went to Leipzig University, full of humanist ideals, to study law. He obtained a law degree in an impressively short time, but was denied admission to the German bar by the Nazi government for “racial and political reasons.” The threat of Fascism grew more and more dangerous and after the SS began making inquiries about him, Stein fled to Paris in 1933 with his new wife, Liselotte Salzburg, under the pretext of taking a honeymoon. New York was a vibrant center of culture, and Stein seized the opportunity. He met and photographed writers, artists, scientists, politicians, and philosophers whose work he knew through his extensive reading and study. This enabled him to engage them in conversation during portrait sessions. He continued his fascination with humanity, walking through the streets of New York, documenting life from Fifth Avenue to Harlem. He worked unobtrusively and quickly, valuing the freedom to capture the telling moment that reveals the subject in its own light, not as incidental material for photographic interpretation. He preferred natural or minimal lighting, and avoided elaborate setups as well as dramatic effects. He did not retouch or manipulate the negative. Having a deep commitment to social equality and a concern for his fellow man, he became a member of the Photo League. Though portraits were his main income-generating work and he photographed many people on commission, he generally worked without assignment, shooting people and scenes that interested him. He would then offer his work to publishers and photo editors of magazines, newspapers, and books. Stein died in 1967 at the age of 58. 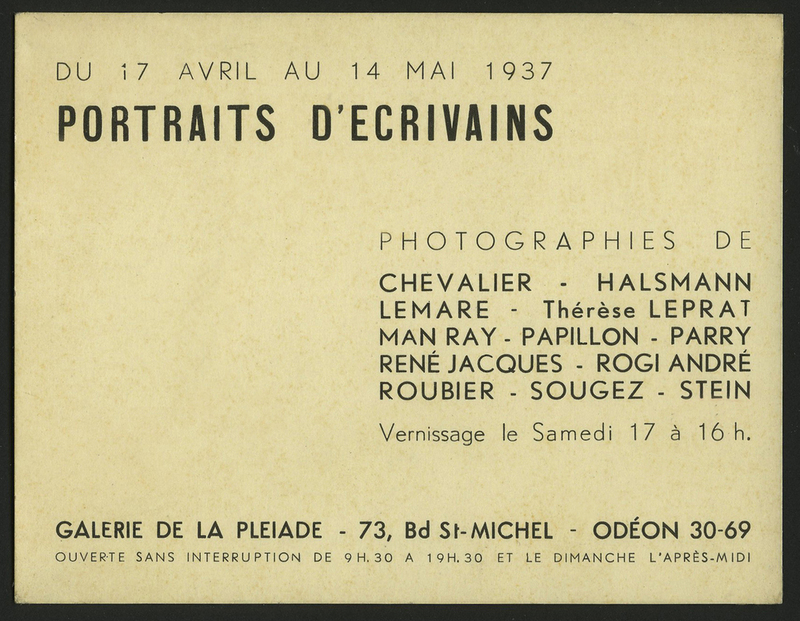 His portraits and reportage had appeared in newspapers, magazines, and books throughout the world. He had numerous one-man exhibitions, gave frequent lectures, and had several books published. His portrait of Albert Einstein is his most famous picture: an iconic image of a great soul.